Is this the face of our new Doctor? 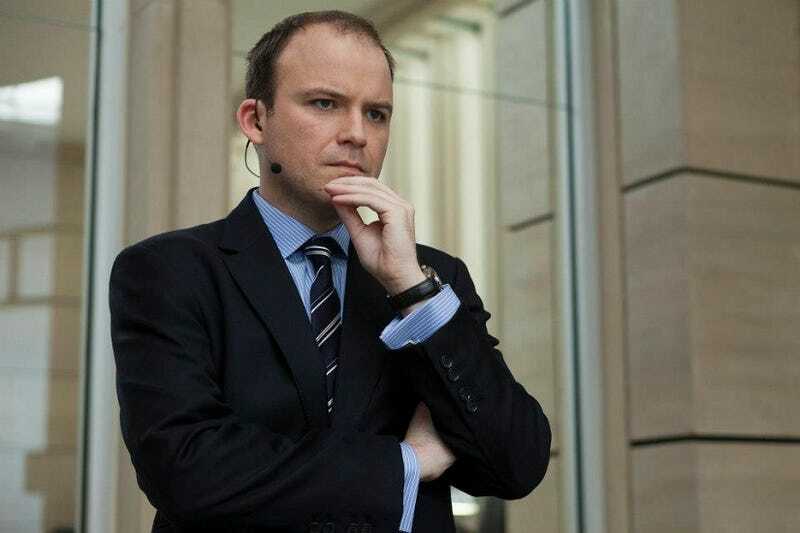 This Sunday morning, Brits opened up their papers to a surprise: a report that actor Rory Kinnear has been offered the starring role on Doctor Who. So is this our new Doctor? The Telegraph is reporting that Kinnear, who plays Bill Tanner in the new James Bond movies and won a BAFTA for his turn as Prime Minister Michael Callow in the Black Mirror episode "The National Anthem," has been offered the role. An unnamed source told the paper, "He has been offered the part and we are waiting to hear if he will accept." For now, this falls into the category of unconfirmed. But perhaps Kinnear is a favorite for the role.